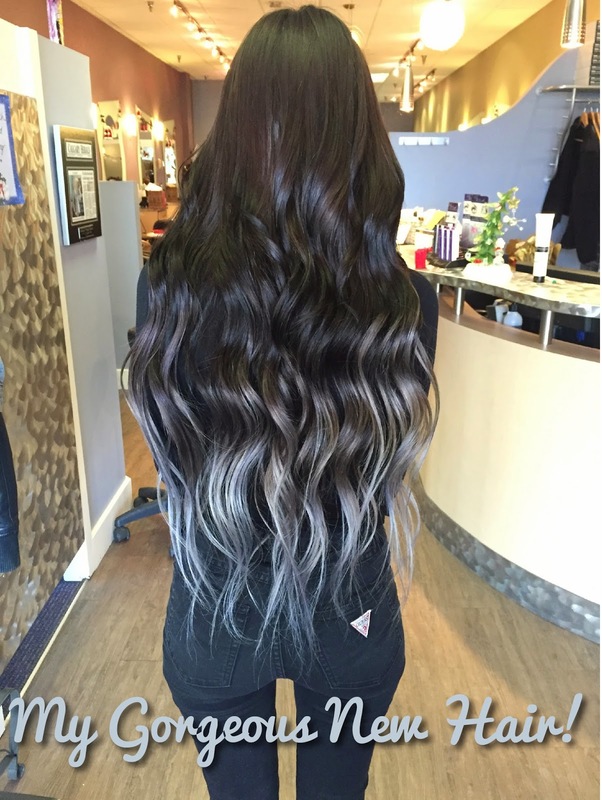 LUSCIOUS LOCKS | My New Hair! Here is my absolutely gorgeous new hair! Now, the story is kind of ridiculous, but none the less turned out to be beautiful in the end. The first photo is my actual hair, it's getting pretty long! 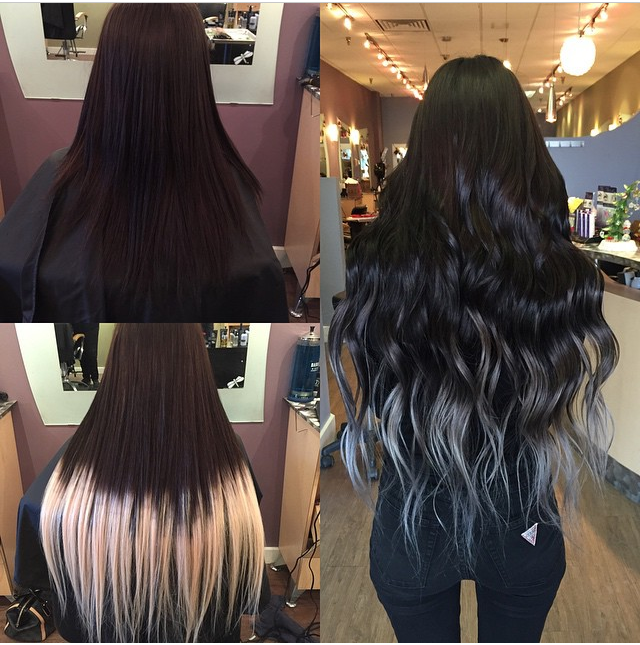 The photo below it, unfortunately, are the extensions I received from THIS seller on THIS Ad for hair extensions. As you can see they did not come as shown in the photo. Luckily my amazing friend, Meghan, at Urban Fringe Salon in Calgary, Alberta was able to turn those extensions into what I really wanted. I have to get it toned again, because it has faded from silver to a light ashy blonde, but that's simple and an easy fix which will happen to all hair that is toned over time and washes. And surprise, I cut my bangs into cute Bettie bangs and you can view my tutorial on it HERE!